Accessories from Tailor Store are hand picked to bring you excellent quality at a perfect price. Complete your look with a luxurious scarf, elegant silk tie or stylish leather belt. Browse our full range for inspiration. Limited time offer: 3 for 2 on all accessories. Use code 3FOR2 at checkout. Accessories are always a winner. 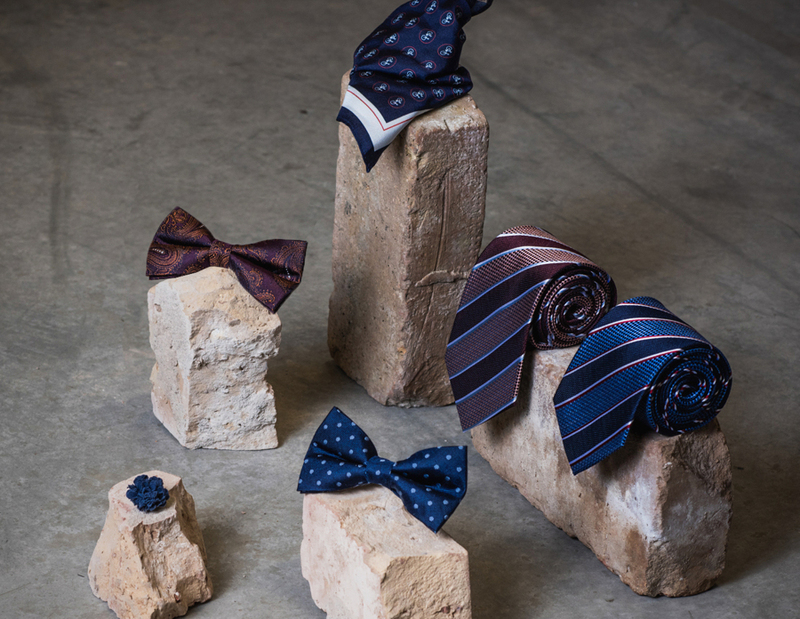 Our range is filled with dapper ties, pocket squares, bow ties and scarves in 100% silk. Don’t forget to add cuff links, studs and lapel pins to your gift package. The base is just as important. T-shirts and underwear of high quality just landed on our shelves. Get something for yourself as well.